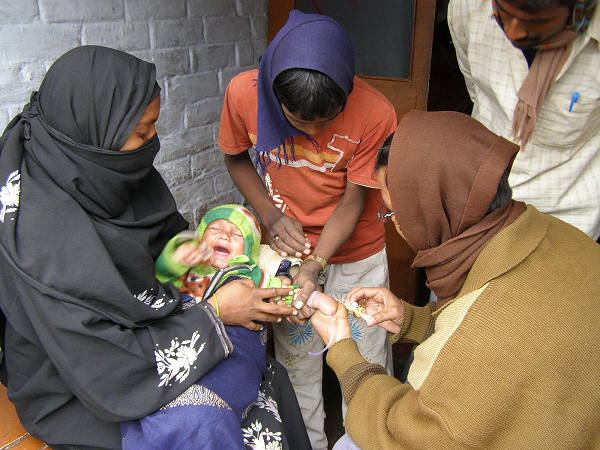 "A pluralistic healthcare landscape is a defining feature of urban settings in low-income countries (LICs) and low- and middle-income countries (LMICs)..."
Alayne M. Adams writes about a session icddr.b are organising for HSR2016. 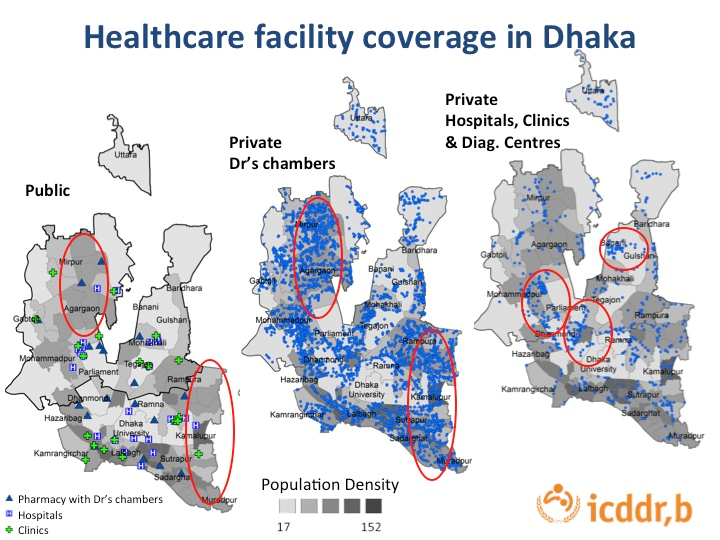 It is entitled: ‘Rapid urbanization and the private healthcare sector imperative: understanding motivations and entry points for enhancing health systems engagement and sustaining health gains in Bangladesh’, and explores the implications of rapid urbanization on healthcare delivery in Bangladesh, and the role of the private sector. Sara Bennett (Chair of the board of Health Systems Global) and Kabir Sheikh (Vice Chair of the board of Health Systems Global) blog in The Conversation about how the sustainable development goals promise a significant improvement for global health over what went before. The blog can be accessed here. This supplement is on the symposium on the Private Sector in Health held in Sydney in 2013, where experts, healthcare providers and researchers from around the world were brought together to discuss and share findings and research on the role of the private sector in the development of better health systems and the improvement of healthcare worldwide. We've now included this most recent supplement as part of the background resources for this website and community. Earlier this year, Health Policy and Planning released a special supplement on the role of the private sector in health. The supplement was a direct result of a meeting in Toronto, Canada held in 2011. The symposium invited researchers and policy makers around the world to participate with presentations on the role of the private sector in health systems. The best presentations were selected for inclusion in the supplement. This webinar introduces the supplement and then hears briefly from the authors of each of the articles included in it. July 2014, one year on from our last symposium and we're pleased to announce not one, but two new special collections of journal articles relating to the role of the private sector in health. One of them even comes straight from the 2011 symposium in Toronto. Additionally, Globalization and Health have just published a new open collection on The Future of Health Markets, which invites additional journal articles related to the core themes of the collection: the role of private for-profit providers, regulation and learning. We've now included both of these collections as part of the background resources for this website and community. Health Systems Global, the first international membership organisation fully dedicated to promoting health systems research and knowledge translation, recently announced its selection of its first six thematic working groups (TWG). We're pleased to let you know that the Private Sector in Health group was among them. This is great news for the group, whose scientific committee prioritised finding a mechanism for institutionalising the group several years ago. It means that, in the future, the group will need to continue to evolve, and we'll let you know more about some of the implications of this new institution as they emerge. In the meanwhile, the loose 'Scientific Advisory Committee' has morphed into a TWG Steering Committee and has already met to begin discussions on future planning. You can review the final application that was approved. If you are interested in being a member, sign up to our email list and be sure to select 'Member' under the Thematic Working Group header. In addition to several posts about the Symposium on the Private Sector in Health website, various programmes and organisations have commented on the Symposium. Here's a quick round up.